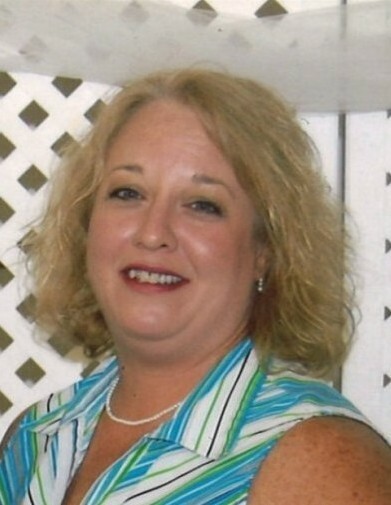 Waterloo - Dixie Joyner Gray of Irwin County, 48, passed away on Sunday, January 27, 2019, at her residence. Funeral services will be held at 11:00 A.M., Wednesday, January 30, 2019, at Waterloo Baptist Church with her uncle, Rev. Donnie Wright and Dr. Jeff Pangle officiating. Burial will follow at the church cemetery. The family will receive friends on Tuesday evening from 6:00 – 8:00 P.M., at Albritton Funeral Directors. Daniel Black, Tyler Dorman, Andon Wright, Greg Gladin, Gary McCurdy, and LaDon Chambless will serve as pallbearers. She was born April 23, 1970, in Tift County to Charles and Wanda Wright Joyner of Waterloo. Dixie was employed by Tift Regional Medical Center as a Database Specialist for over twenty years. She graduated in 1988, from Irwin County High School and was continuing her education at Southern Regional Technical College. She enjoyed fishing, and having bon fires with her friends. Dixie loved her friends and family especially her only son and grandson. In addition to her parents, she is survived by her son; Charles Clayton (C.C.) Gray of Waterloo, her sister and brother-in-law; Leslie and Chad Sutton of Athens, her brother and sister-in-law; Casey and Sima Joyner of Tifton, Grandson; Mason Crumley, niece; Calla Joyner and nephew; Jacob Joyner, numerous aunts, uncles and cousins. Flowers will be accepted or you may make donations to Waterloo Baptist Church Building Fund, 124 Waterloo Church Lane, Chula, Georgia 31733.